There is one certainty in the obesity debate – the dominant messages about diet, willpower, and fat-shaming have failed in the last 40 years; in fact, things have got worse. We need a new approach. We need to give fat people a voice. Gut Feeling is the story of why ‘traditional’ approaches fail to stop expanding waistlines – and what you can do about it. We need to understand why ‘Eat Less, Move More’ has not worked, why exercise is only part of any solution, and why fat-shaming makes things worse. We have to do what the science is actually telling us – what people can do, not what others think they should do. 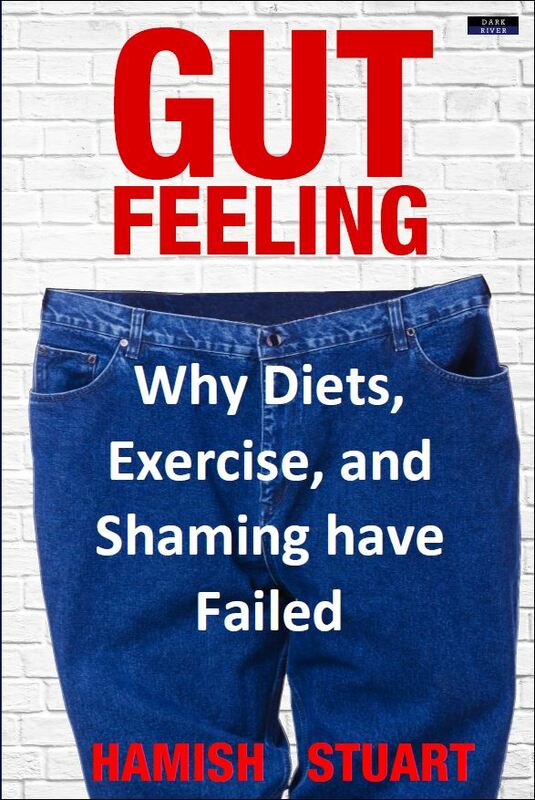 Gut Feeling takes aim at the major players in the obesity crisis. From the manufacturers of processed food and fizzy drinks, to the dieting industry, to exercise gurus, to governments. The obesity debate is starting from the wrong place, dominated by people who do not really understand the big picture. > Diets and exercise fail in the long term. > It’s not choice or lack of willpower that drives obesity. > Fat people are not an extra burden on health services. > The food industry is desperate to maintain the status quo. > Fat shaming is misguided and counter-productive. It is time to bust the myths, reveal the reality, and plan for a more positive future. CHAPTER 5: So Why Are We Fat? CHAPTER 6: Is Obesity An Addiction? CHAPTER 11: Do You Believe Me Yet?